Freitas Vineyard is the dream of Ray Freitas, or should we say Ray and Ray Freitas? Ray and her husband Ray envisioned a fruit orchard on their three and a half acres, but found the alkaline soil was not suitable for fruit trees. They did find that it was very suitable for growing grapes, specifically wine grapes. Planting began in 2000 with the first 300 vines. Initially they planted many varietials, but ultimately found that would do best with Petite Sirah, Merlot, Cabernet Sauvignon, Malvasia Bianca and Sangiovese. Sadly Mr. Ray Freitas lost his battle with cancer in 2005 and left Ray to carry on the project. In the past several years wine drinkers as well as fellow winemakers have taken her novel little vineyard seriously. Freitas is the only vineyard in the Verde Valley that can claim that every ounce of wine sold is estate bottled. And she can also lay claim to the statement that hers is the oldest producing vineyard in the Verde Valley, as the original vineyard of the valley is no longer active. 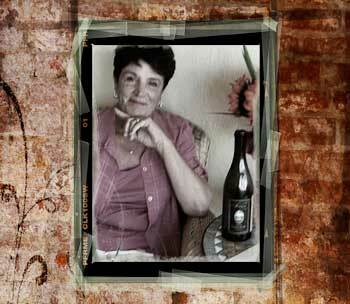 Freitas does not have a tasting room on site but you can find her wines at Vino Di Sedona in Sedona.